Home » Posts Tagged "THON"
With THON weekend just two days away, we are featuring our final overall who is also a student within the College of Engineering. 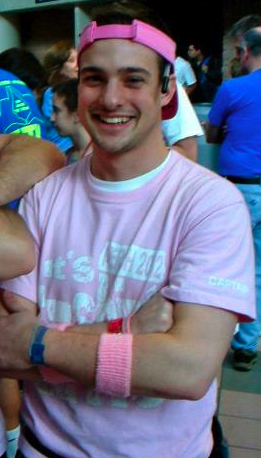 Ryan is a senior from Jamison, Pa. in Bucks County and the Overall Merchandise Chairperson for THON 2013. The purpose of his role is being responsible for spreading the awareness of THON and the Four Diamonds Fund through the sale of merchandise. Patrick is also responsible for protecting the name and brand of THON. Ryan’s THON involvement began in 2011 when he was the THON Chair for Beta Theta Pi. In 2012, Ryan became a Merchandise Captain and went on to be overall in 2013. When asked how he manages his course load and commitments to THON Ryan replied, “I just do it.” He says time management is crucial and that his school work always comes first. Ryan is constantly making to do lists, staying on top of what he needs to accomplish and using free time effectively. Mechanical engineering has helped Ryan to look at things differently than others and tackle problems with a different and more analytical approach. He looks at some of his tasks within THON as problem-solving and never tries to “constrain himself to staying inside the box.” His participation in THON has made Ryan realize that of the Four Diamonds, honesty is the most important one for an engineer to have. “Being aware of ethical concerns, along with being honest to yourself and co-workers is extremely important in all aspects of life,” explains Ryan. One of his favorite THON memories was during THON 2012. Around 3:00 a.m. on Sunday, when the wear of the weekend could be felt on volunteers, he stopped and took a good look around the Bryce Jordan Center. “I really took in the scene, seeing how selfless everyone in the Bryce Jordan Center was being,” says Ryan. Ryan is really looking forward to THON 2013 for a lot of reasons. As a captain for THON 2012, he saw a lot of different things he wanted to change. As an overall, he has been able to implement some of those ideas into projects. Ryan’s biggest piece of advice to a current or future student is to get involved. He says it would’ve been easy to just be an engineering student but getting involved in other things has given him extremely valuable real world experience. “You learn a lot about yourself, develop social skills, time management and how to make it all balance,” says Ryan. As we began last semester by featuring the Overall Hospitality Chairperson, John Mazzochette, and Blue Band member, Shane Haydt, we are helping you get to know engineering students who are spending their time making the world a better place in their everyday life outside of the classroom. Next up is the Overall OPPerations Chairperson for THON 2103: Michelle Gettle. Michelle is a fifth year senior in the structures option of civil engineering and knew since high school that she wanted to get into project or construction management. “Every type of construction site I saw interested me,” says Gettle. “The best route I saw to get there was through civil engineering.” She is also getting a minor in energy, business and finance. Originally from Dillsburg, Pa., Gettle got involved with THON her freshman year through Ohana, which is an independent fundraising organization, while also being on the OPPerations committee. Since then, she was an OPPerations captain for two years and then became the Overall OPPerations Chairperson for THON 2103. Her favorite THON memory comes with the 40th year celebration of the Four Diamonds Fund. The fund was created by Charles and Irma Millard in honor of their son Christopher who lost his battle to rhabdomyosarcoma in 1972 at the age of 14. The story of the Four Diamonds, which is what the fund is named after, consists of a knight going on a quest to find the Four Diamonds of Courage, Honesty, Wisdom and Strength in order for him to be released from captivity of an evil sorceress. These are the four traits that Christopher believed he needed to overcome cancer. “During the celebration, Irma Millard expressed her sincerest thanks to us for all that we do and it absolutely blew me away,” says Gettle. “They are the ones who deserve the gratitude.” She also went on to say that it is amazing that something the Millards created 40 years ago grew into something so immensely wonderful that has changed the lives of hundreds of people. As an engineer, Gettle believes that courage is the most important of the four diamonds for an engineer to have. “You have to be willing to share your ideas and take initiative when needed,” says Gettle. “I think improvement and progress couldn’t occur without courage and within a growing industry, it becomes an essential trait that engineers should possess. 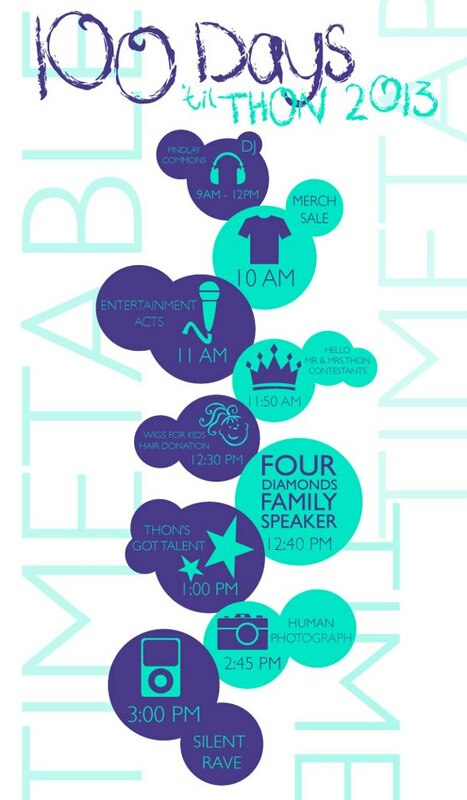 Gettle is most looking forward to THON weekend and seeing the entire THON family coming together as one for one cause. She also says her favorite part of THON is the journey, every day and every moment leading up to THON provides something new and inspirational that should be cherished. Balancing her school work with extra-curricular activities is no simple task for any student at Penn State. “Passion is something that gets me through everything that I do,” says Gettle. ” You have to possess a love for all of the things you pursue in life in order to make it work in the best way possible.” Gettle admits that sometimes things get tough but says she loves THON, her major, friends and family. As promised, we are going to feature students who are active in the Penn State community beyond their education, making the world around them a better place. Our first post in this series profiles one of the three THON Overalls who are engineering students. Let’s begin with the THON Overall Hospitality Chairperson, John Mazzochette. Mazzochette is a fifth-year senior from Cherry Hill, N.J., majoring in civil engineering. When deciding on what he wanted to study once he got to Penn State, Mazzochette chose civil engineering because of his fascination with buildings and structures that make up urban areas. “I always knew I wanted to be a civil engineer. When I was younger, my favorite activity was playing with Legos and Kinects. I would build towers as high as a possibly could and showcase them to my family. I was also pretty decent at math and science so engineering seemed like a good fit,” says Mazzochette. He chose Penn State after applying on a whim from the suggestions of friends. After being accepted, Mazzochette made the final decision of Penn State because of their prestigious engineering program. Mazzochette got involved with THON his sophomore year as a Hospitality Committee Member, was a Special Events Committee Member his junior year, a Hospitality Captain his senior year and is now the Overall Hospitality Chairperson. With a challenging work load and all of the responsibilities that come with his duties in THON, some may wonder how it is all possible. He has also been involved with the American Society of Civil Engineers, Engineers Without Borders, Penn State Snowboarding Club as well as intramural basketball and soccer. As the Hospitality Overall, Mazzochette works with donors to secure all food and beverage donations at all THON events including THON weekend. He also leads 20 hospitality captains and 220 committee members to assist in serving food during THON weekend and pre-THON events. “Time management was a tool that I learned the first semester I was in University Park. My main tool with time management is my organization. I carry around my planner like is my bible. Every morning when I wake up, I like to create a task list for the day and make sure that everything is prioritized,” explains Mazzochette. He also says that using his time efficiently is extremely important to him. His family and friends are just as important to him as work and helps him to be sure that he is making time for people and all of his responsibilities. “Of course! My time at Penn State has definitely been a holistic experience. Everything ties together and helps me accomplish everything that I want to. I would like to go into project management after I graduate and the lessons I have learned from THON has helped me determine how to efficiently lead a group and complete tasks. Also, the lessons from my entrepreneurship classes have taught me how to think outside the box and tackle problems creatively,” says Mazzochette. Being involved in THON throughout his years at Penn State has left Mazzochette with countless memories to last a lifetime. His favorite memory comes from his experience in a Mini-THON near York, Pa., where he was able to spend time talking with a Four Diamonds family. The families son was three years old and undergoing treatment but was healthy enough to be playing with the older kids, having the time of his life. “I was touched by their openness,” says Mazzochette. “At the end of our discussion he turned to me and told me that his son would not be where he is now without the support of students like myself.” The dad explained that the Four Diamonds Fund had enabled him to be there to support his son and didn’t have to work day and night to pay for the medical bills. The comment blew Mazzochette away and he realized that the efforts of Penn State students enabled this family to have an easier fight. 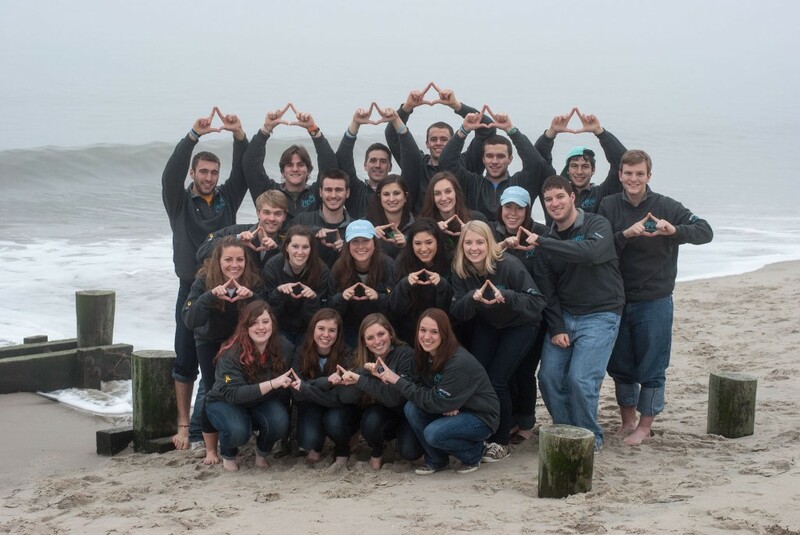 THON Weekend 2013 is 80 days away and Mazzochette is most looking forward to being able to connect with many of the Four Diamonds families on a personal level. He is also really excited about the new initiatives set out by the hospitality committee. Following graduation, Mazzochette plans to start his career as a project engineer for a construction company and will eventually get his master’s in business. Today marks 100 days until THON — the annual IFC/Panhellenic Dance Marathon that supports children and their families in their fight against pediatric cancer. In 100 days, students will stand on their feet for 46 hours without sleeping in remembrance and support of all those who have been affected by pediatric cancer. More than 15,000 student volunteers engage in a year-long fundraising effort — the largest student-run philanthropy in the world — for the Four Diamonds Fund at the Penn State Milton S. Hershey Medical Center. To date, the organization has raised $89 million for the fund, including last year’s record of $10.56 million. Among the volunteers are several engineering students and organizations. They dedicate their free time helping to combat a disease that’s the number-one killer of children in the U.S. – more than asthma, cystic fibrosis, diabetes and pediatric AIDS combined. As the clock ticks toward THON weekend — Feb. 15-17, 2013 at the Bryce Jordan Center — the College of Engineering will host its own countdown by featuring some of the students and organizations who are helping to make a difference. Over the next 100 days in this blog, we’ll be featuring three engineers who are also THON overall chairs, sharing updates from various organizations and posting news about THON-related events.